This is actually a period piece, although it feels so timeless that can be hard to remember. Plus, the film itself is now so old that the history of when it is set and when it is made kind of blur together. Set in the late 1800s, at the height of the colonial era as the old Calcutta aristocracy were dying off. It’s not directly about any of that, it is about a wealthy family and their fragile forgotten daughter-in-law. And about the young educated boy from the village who comes to the city and shakes things up in their fading Haweli. Another film in that “so old now that the history of when it is set blurs with the history of when it was made” category. 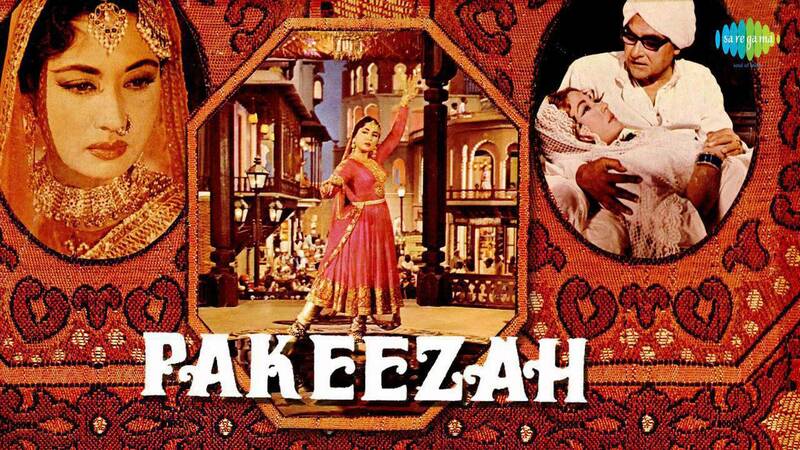 One of many films dealing with the fading glory of the Tawaif tradition, but the greatest of them. Our heroine is a young Tawaif who falls in love with an honorable man from a good family, but is reluctant to marry him and embarrass him with the connection. Set in the 1800s, an era of elegance and horse drawn carriages and so on. 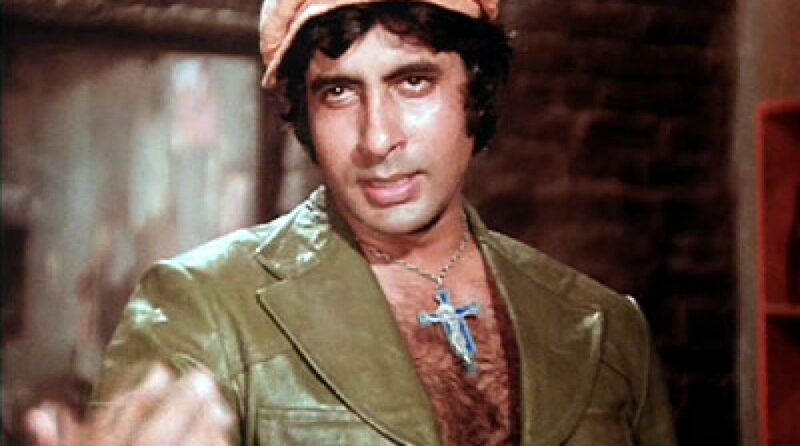 A recent era film, focusing on the 70s and 80s and the rise of corporate capitalist India. And a recently made film, it’s easy to tell the difference between the period of the film and the period in which the film was made. It’s a great movie for giving a sense of changing times, changing powers, even changing fashions, all without losing focus on the characters. I just watched it! A very recent film, only about two years old, gorgeously evokes the 1970s setting through cars, houses, clothes, and the attitudes of the characters. The setting isn’t just for fun, in many ways the setting is the story. Another one I still haven’t seen. A love story, yes, but also a story of changing India, the loss of ancestral properties and move to the city are a major part of the plot, along with the arrival of cars and money problems and everything else that happened in mid-century India. Some people like this movie. I am not one of them. But it covers an era and topics that Indian film doesn’t usually touch, everything from the growth of the Bombay real estate scene to the freedom of Goa. And there are truly amazing costumes, especially in the cabaret sequences. 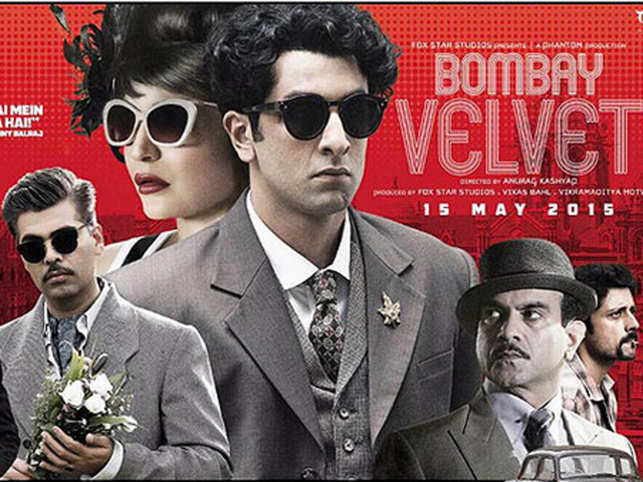 This is mostly a biopic, but along the way it covers about two decades of Indian history. We go from army camps to refugee camps to international Olympic trips. The only film on this list that doesn’t just give us period India, but gives us period The World, all the way to Australia. A very silly movie. With an extremely tiny focus, a few weeks of time based on a famous murder trial. But it does have a somewhat interesting plot, and Esha Gupta looks amazing in her period costumes, and Akshay Kumar wears a white Navy dress uniform the whole movie. This movie is 2/3rds historical and 1/3rd modern day. But I am including it for the super fun opening 3rd with Shahid and Priyanka dancing around 1960s Bombay and 1960s Bombay films. Complete with film parties, newspaper photographers, and on and on and on. And then there is the middle 3rd, when Priyanka and Shahid are back in the 1800s fighting the British, but mostly romancing. This is “not” based on a true story. Except where it completely is, the rise of MGR and Karunanidhi through film and politics from the 1940s through the 1970s. It’s a beautiful movie, especially in how it evokes past eras and styles of films, and it has AR Rahman songs and Aish’s onscreen debut. This entry was posted in Hindi Film 101 and tagged Hindi Film 101, Iruvar, Rustom, Sahib Biwi Aur Ghulam by mredlich21. Bookmark the permalink. Thank you again for being most responsive to your followers. 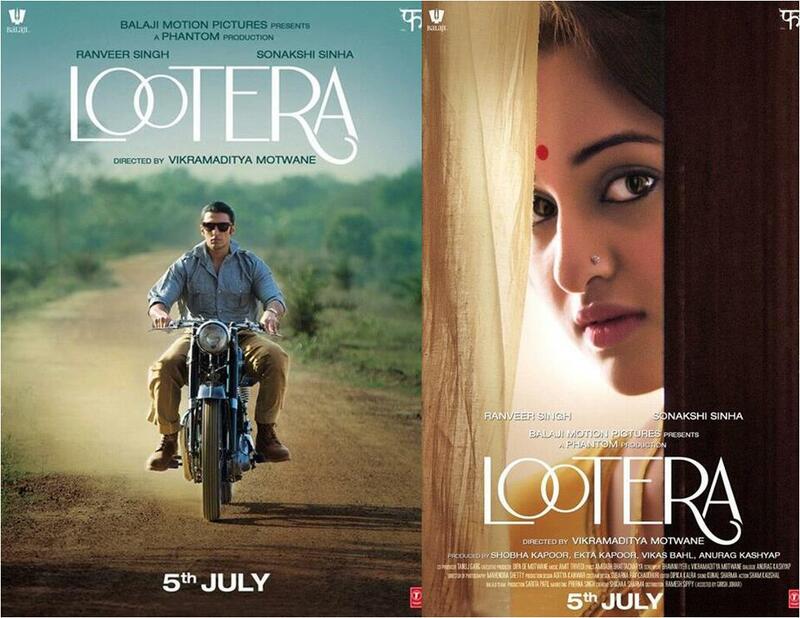 I loved Lootera! Ranveer was wonderful. He and Varun Dhawan (October) are more versatile than directors give them credit for. Don’t think I can stream some of the oldies you cite. A Death in the Gunj is on Netflix, I believe, but Kalki makes me cringe. I hope this nasty weather lasts so I don’t have to leave the house. A Death in the Gunj is really a wonderful film, but definitely not a “feel-good”. It’s on Prime, worth watching if you want to join our discussion about it on Friday. I don’t know about the accessibility of the others either, but it never hurts to look, just in case some streaming site snapped up the rights. I was debating that! It should go in this category really, but they filmed it in such a way that it felt epic even though it was just a normal story, so I just don’t know where to put it. Oh! Once Upon a Time in Mumbai! I know that’s more gangster than historical, but it is so gloriously seventies-y. Guru has finally come on to a platform that I have access to–can’t remember which one at the moment, so it’s definitely on my list. I’ve been wanting to see it forever, largely on the strength of Tere Bina. 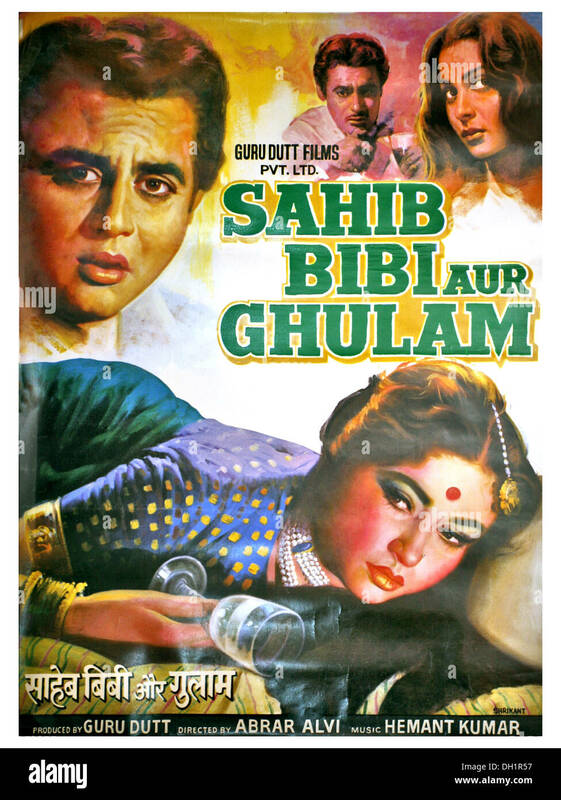 One of my loose goals is to watch all the versions of Sahib Biwi aur Ghulam. I’ve seen the Guru Dutt one and I’ve seen two installments of Shahib Biwi aur Gangstar. Next is the 1950s version of Shaheb Bibi Golam so I can have the impossible task of choosing between Guru Dutt and Uttam Kumar, and then I can watch the modern Bengali one that came out a couple of years ago. And I think that’s it? That of course, might have to come after I watch all of the Devdases. But watching all the Devdases is a never-ending task! I accomplished it for one brief shining moment, and then a new one came out last year and now I am behind again. And that’s without counting the sort-of Devdases like Arjun Reddy. I think you will probably like Guru. Tere Bin is definitely the highlight, but it is also a very well-done period film and the love story is delightful and surprisingly subtle. Plus Abhishek in one of his occasional good acting roles, and Vidya and Maddy together. Well, we still need our female Devdas, and after that I guess there will be Devdas in space, and stop-motion animated Devdas, and Devdas and Zombies . . . Since the last Devdas was “Devdas-but in politics”, I think “Devdas in space” isn’t as impossible as it seems. Which one is Devdas in politics? Daas Dev? Yeah, I think that’s the title. So many Devdases! And Raazi. It’s shocking how much they pair together, the information she finds in Raazi is the exact information that we see arrive at the Navy headquarters for analysis at the beginning of Ghazi. I really wanted to include Kabali!!!! It is probably the most useful historical film I have seen in years. Only problem is, it’s Malaysia history.